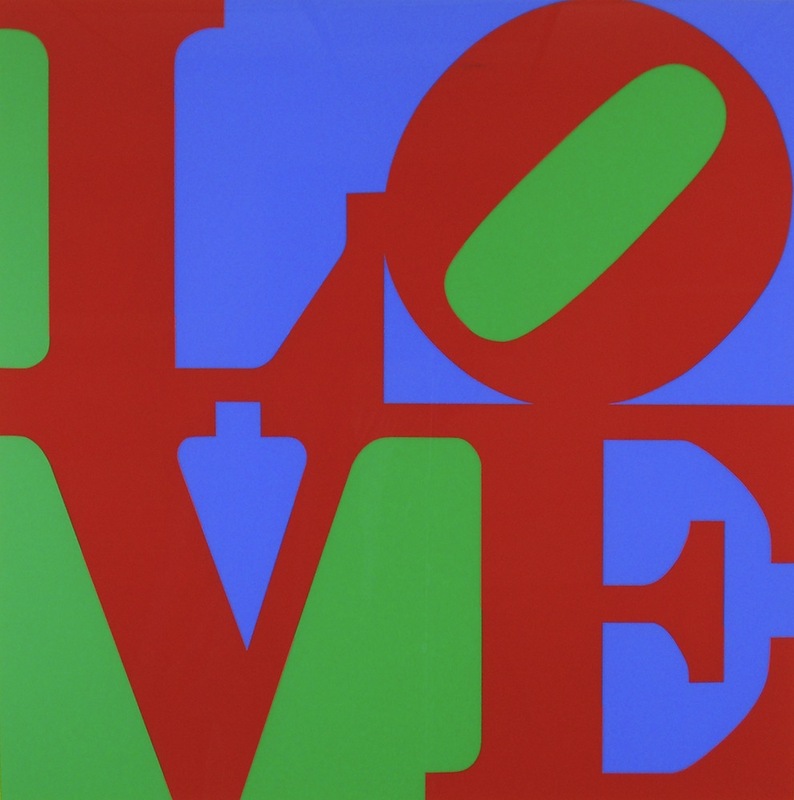 LOVE is all around us, just ask Robert Indiana! Indiana's original 1964 Christmas card design for the Museum of Modern Art launched a Pop Art image. He stacked the letters -- LO above VE -- and angled the "O" 45 degrees to the right. Bingo! An instant icon. It went viral even before the Internet. In the radical 60s, anti-Vietnam War protesters chanted, "make love, not war." Indiana's four-letter icon became a favorite of the hippie counterculture. T-shirts, jewelry, buttons, flags -- even a US postage stamp. When he saw that it was being copied without his permission, he applied for a copyright. The government turned him down claiming you can’t copyright a word. In the early 70s, Indiana rendered LOVE as a large-scale sculpture. Same stacked-letters, in many languages. The New York City version, located just around the corner from MOMA, is a magnet for tourists and wedding couples. A great place for a selfie. LOVE even has a 4-star Yelp review. Now LOVE is literally everywhere, a global phenomenon. Scripturient, adj. : having a strong urge to write.